Embassy Suites Colorado Springs is conveniently located off I-25 and Woodmen Rd on the North End of Colorado Springs. Embassy Suites is an all suite hotel featuring spacious two-room suites with either a single king bed or two queen beds in the bedroom, separate living room area with a double sofa sleeper. Each suite includes a wet bar, microwave, coffee maker and small refrigerator. All guests are invited to enjoy our nightly managers reception with complimentary cocktails and snacks, as well as our complimentary full cooked-to-order breakfast provided every morning in our garden atrium. The Embassy Suites also features an indoor pool, jacuzzi, small gym, mini arcade room, and full restaurant. Open 6:30 am - 11:00 pm Large indoor pool and hot tub with out door sun deck. Pool furnature and many plants complete the aquatic oasis. We have three pet friendly suites. Local Shuttle Info: Shuttle can be arranged upon request. Complimentary Breakfast - Each guest suite includes a full cooked to order breakfast with eggs, bacon, sausage, potatoes, pancakes, cooked to order omelets, fresh fruit, breads, pastries, oatmeal with fixings, assorted beverages and more! Complimentary wifi access in guest rooms and public space of the hotel for all guests. The Embassy Suites highlights above are subject to change without notice. 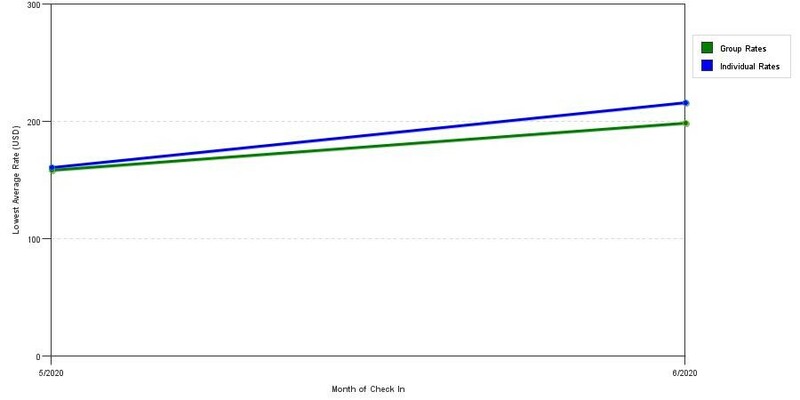 The graph above is trends of room rates for both group/meeting prices and the lowest online individual prices our system could find at the time the group bid was submitted. The most competitive group discount displayed is 31.8% in the month of June 2017 and the highest average individual rate is $257 in the month of June 2018. This chart will show past seasonality and also project future months. 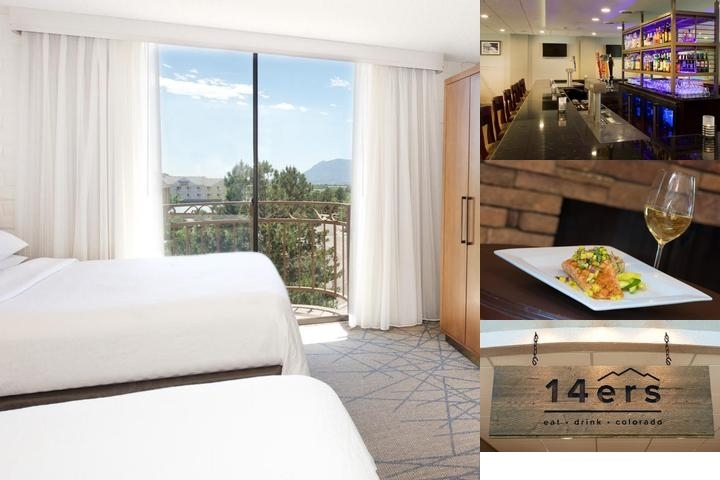 If you are flexible with dates, you may want to consider staying at Embassy Suites by Hilton Colorado Springs in a month when rates are lower. Below are the meeting, banquet, conference and event spaces at Embassy Suites by Hilton Colorado Springs. Feel free to use the Embassy Suites by Hilton Colorado Springs meeting space capacities chart below to help in your event planning. Hotel Planner specializes in Colorado Springs event planning for sleeping rooms and meeting space for corporate events, weddings, parties, conventions, negotiated rates and trade shows. 119 x 29 x 8 Ft.
29 x 21 x 8 Ft.
29 x 27 x 8 Ft.
41 x 29 x 8 Ft.
26 x 25 x 8 Ft.
41 x 41 x 8 Ft.
29 x 29 x 8 Ft.
37 x 21 x 8 Ft.
22 x 27 x 8 Ft.
14 x 14 x 8 Ft.
119 x 28 x 8 Ft.
18 x 28 x 8 Ft.
28 x 28 x 8 Ft.
43 x 28 x 8 Ft.